aNewDomain — NASA is on one heckuva roll. And what a week. First, NASA took a picture of Pluto — after reclassifying it a planet — and then gave us the first true Blue Marble shot of the Earth since the Apollo 17 crew snapped the original back in 1972. Here’s a rundown of the latest NASA news. Let’s start with the best thing I’ve seen all week. And according to The Atlantic this week, we have Al Gore to thank for the stunning new image of Earth, which was captured by the DSCOVR satellite with a single shutter. 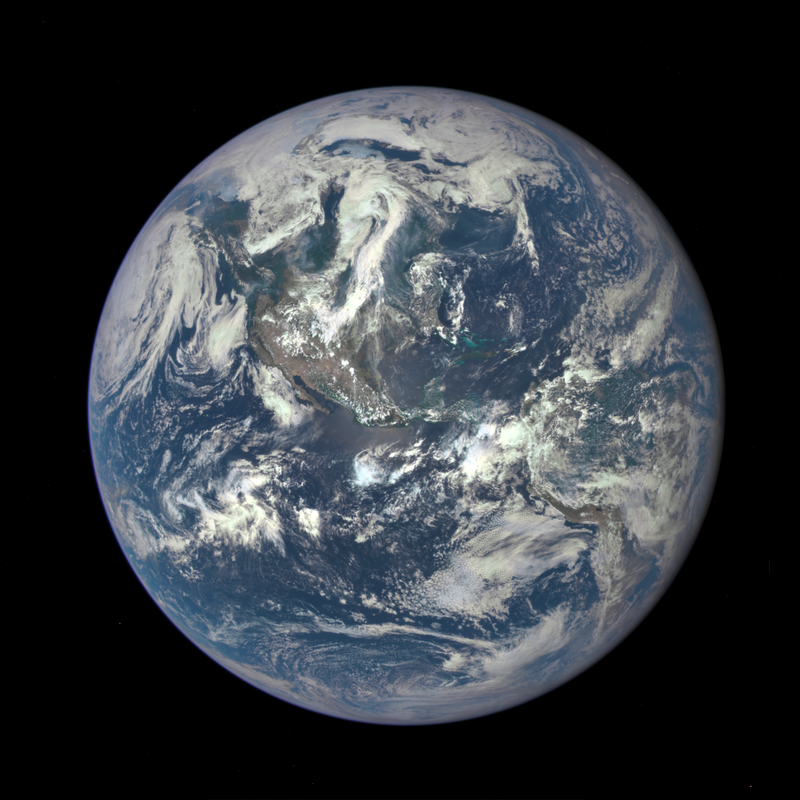 It’s true that Gore’s infatuation with the original Blue Marble spurred the concept, but NASA and NOAA are the ones that strapped the Earth Polychromatic Imaging Camera (EPIC) to the satellite. DSCOVR will take a handful of pictures that monitor all sorts of Earth wavelengths, like ozone levels, volcanic ash and aerosols. It will also provide 11 images, per day, of our planet. And here’s a pretty planet. Pluto. July 14, 2015 will go down as a historic day for science, space and photography. 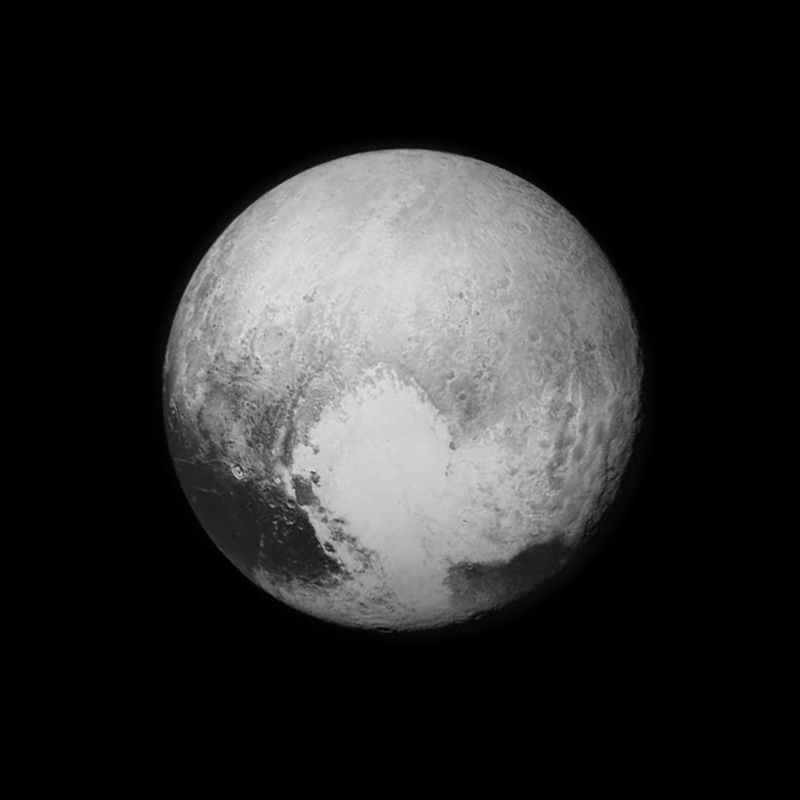 That was when NASA sent out the first clear image of Pluto. And it’s gotten its planetary status back. Go, Pluto! Everyone went wild for the image. The social nets respond to images so much more quickly than they respond to words. o now we’ve got Earth and Pluto with their own little newsfeed of images. And let’s be honest, these are everybody’s favorite planets. Mars is passé at this point. Back in October 2014 NASA released a gamut of space sounds — i.e., sounds from space. The eternal vacuum was turned on, and everyone gets to hear the noise. This announcement reminded me of that scene in”2001: A Space Odyssey when the apemen beat each other. One of them tosses a bone into the air, which transforms into a futuristic human-inhabited satellite. All of this, actually, is kind of like that. The seven-minute video includes recordings of Saturn’s rings, Neptune, rings of Uranus and Jupiter (to name my favorites). And they are, put simply, weird. Ethereal, floating, harsh and full of what sounds like advanced, unearthly wind, each moment of the video seems like it shouldn’t quite exist. Yet it does. Those clips are amazing. The images are amazing. There are more noises, too. A whole history of them. Check out the official NASA SoundCloud account, a massive library of space-related sounds collected over the years. Some are nuts, like the interstellar plasma sounds picked up by Voyager. Or the deep bass of star KIC7671081B. That celestial body has EDM (electronic dance music) written all over it. Rocket sounds, mission launch sounds, Solar System sounds — anything noteworthy they recorded over the last 50 years seems to be there. Not just pictures, humans in space too! But NASA isn’t just about our understanding of space, it’s about putting little humanoid individuals, us, in space. So they released a bunch of human noises that occurred in space to remind us of this ultimate goal. The SoundCloud has all those stellar clips from Apollo, from President Kennedy exciting a nation to reach to the moon. You can hear Armstrong say, “One small step for man, one giant leap for mankind” on repeat. And then download it to your phone and have him wake you up, or end your run or remind you to get your frozen pizza out of the oven. Yeah, NASA made all the sounds downloadable, as individual little pieces, for us to use however we see fit. All of these advances in science are important. They are a recognition that we are still moving outward, understanding more about the universe and our place in it. They’re also evidence that NASA, a government body who has felt somewhat limp since the moon landing, is working hard, really hard, to give the people what they want. Most of the images DSCOVR and New Horizons take will be available to the public, for free, and all those sounds are already available. It’s public, it’s ours. So thanks, NASA, and keep at it. Ed: Part of this ran on aNewDomain’s BreakingModern. Read it here.